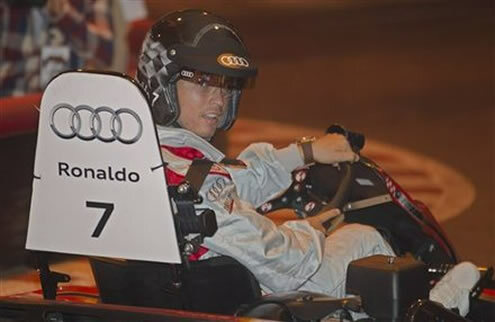 ﻿ Cristiano Ronaldo: "I'm always willing to learn and improve my game"
21.10.2011 » Cristiano Ronaldo: "I'm always willing to learn and improve my game"
The German automobile manufacturer brand, Audi, delivered to Real Madrid players their cars for the upcoming year. 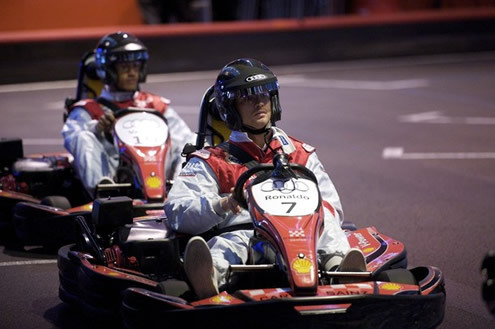 Cristiano Ronaldo and his teammates were also invited to participate in a kart racing, just before they attended the ceremony and granted a quick interview. 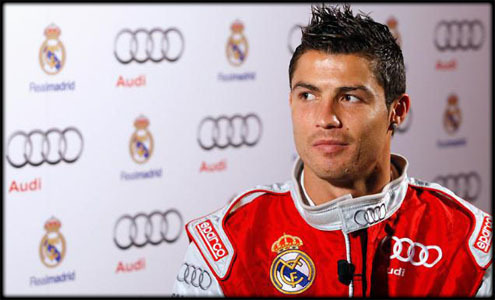 This last Thursday, Cristiano Ronaldo and his teammates attended Audi's ceremony, on which Real Madrid players received the new cars from the German automobile manufacturer. 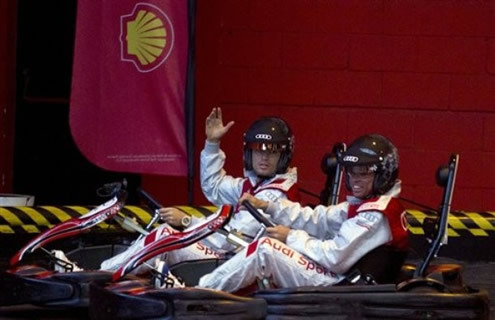 Before the formality inherent to such a presentation event, Ronaldo and the other Real Madrid players participated in a karting race and granted a few quick interviews to the press. Cristiano Ronaldo: "My ambition is to always improve season after season and I'm lucky to be in a club which allows me to do that, since we have a squad with the best players in the World. That's something that certainly helps me becoming a better player. ", started by pointing out the Portuguese player, who has been praised in the last days for showing a less selfish attitude on the pitch and more availability to assist his teammates. 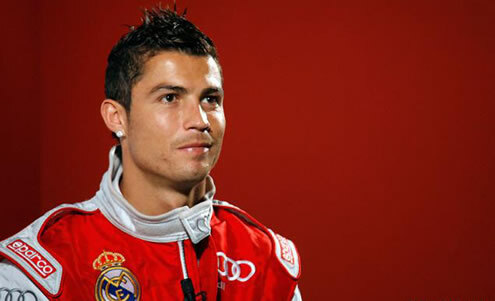 Cristiano Ronaldo is known for being a devoted professional football player, by setting an example to everyone in terms of work and excelling challenges. The Portuguese shared his view on the importance of never neglecting hard-working habits. Ronaldo: "I think that all football players have talent, but if you don't work for it, you'll never be a great player. That's exactly what I do. I try to show my qualities on the pitch, in either matches or practice sessions. I always give my best, no matter if it's a game or not." 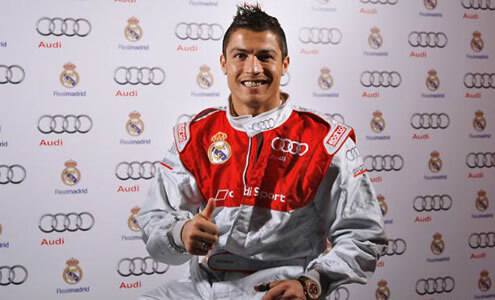 Even though this has been an event dedicated for Audi and Real Madrid to celebrate their strong partnership and sponsorship, Cristiano Ronaldo was one of the most requested persons by the media press. The Portuguese player was asked to discuss about his childhood idols and his biggest dreams when he was younger. The boy from Madeira confessed that he didn't have any special reference back then and that one of his dreams has always been to represent the Portuguese National Team, because of the deep meaning that has to every player. Cristiano Ronaldo: "I didn't have any particular idol or any player who I specially admired when I was a young boy. My ambition was to be called up to the Portuguese National Team, because that was where I have always wanted to play at." The journalists then slightly changed the topic and asked Cristiano Ronaldo to assess his own evolution as a football player. 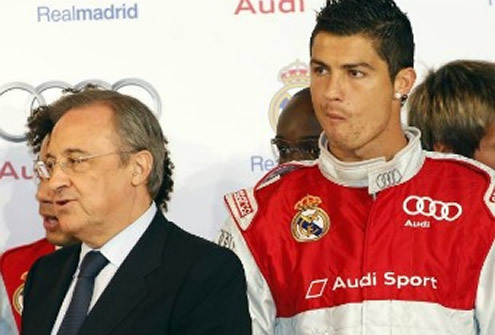 Ronaldo: "I'm sure that I used to do things that I don't do anymore. That's because I'm more mature now and also more experient. I'm always available to learn and I'll keep trying to improve and become a better player." In his closing statements, Cristiano Ronaldo outlined the importance of this sort of events promoted by Audi and Real Madrid, in terms of helping to build a better team-spirit. Ronaldo: "This is an entertaining initiative that helps bringing the group together. It's a very good idea that allows us all to have some fun. 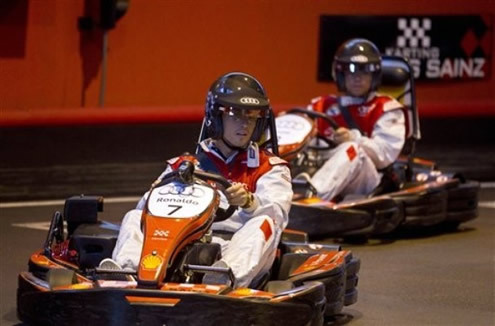 There are not many risks in accidents, because everything is controlled and safe. It's definately a very enjoying event that will help improving relationships between everyone and a great way to socialize and have a good time. 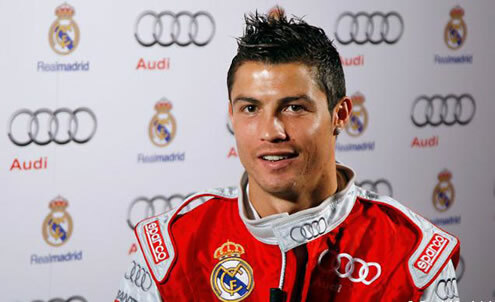 ", said CR7, who will now focus at La Liga's game against Malaga, this Saturday.